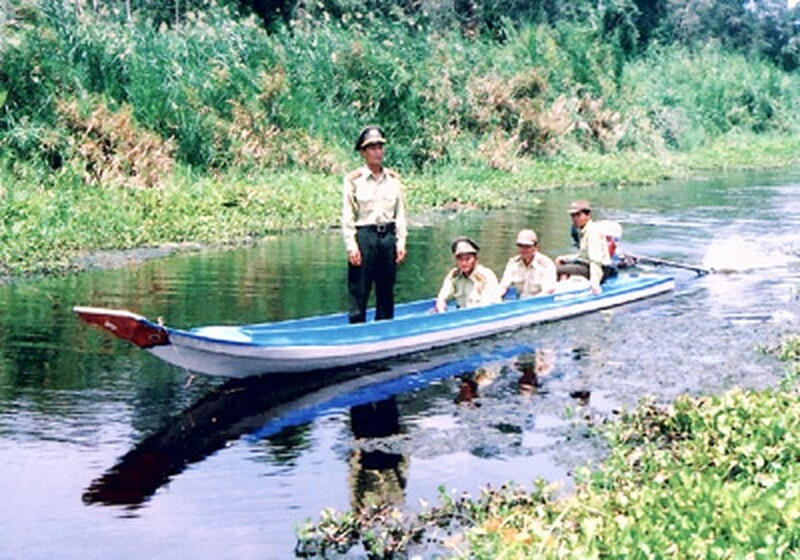 Authorities in the Mekong Delta are on high alert from threats of forest fires, as an early start of the dry season this year and scorching dry weather conditions have depleted thousands of hectares of lush green mangrove forests. Several mangrove forests have withered, while canals have run out of water along Thanh Hoa, Moc Hoa, Tan Thanh and Tan Hung Districts in Long An Province, from the intense dry heat. Vo Van Lan, owner of a 30 hectare forest in Thanh Hoa District, said that it has not rained in several days. He and other forest owners are now camped in the forest to prevent forest fires. Le Minh Duc, director of the Department of Agriculture and Rural Development in Long An Province, said that the entire 30,000 mangrove area is in high risk of forest fires. The department has instructed the forest rangers to work with local authorities and residents to implement fire prevention measures on an urgent basis. 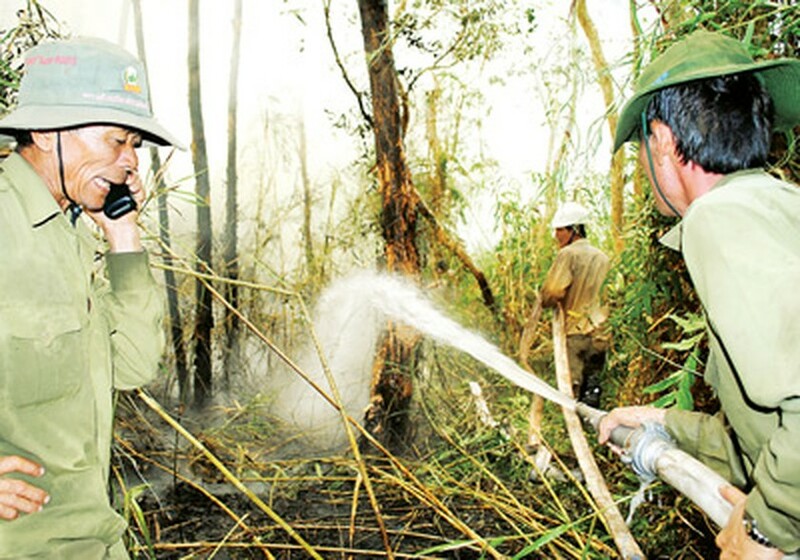 Nguyen Thanh Binh, head of the Forest Management Department in Kien Giang Province, said that the forest area threatened by fires has now spread to 12,500 hectares across Hon Dat and An Bien Districts and U Minh Thuong National Park. About 1,500 hectares in Phu Quoc Island District is the most vulnerable. Within the last few days, more than 12,400 hectares has become parched in Tri Ton and Tinh Bien Districts and Chau Doc Town in An Giang Province. The scorching heat has caused trees to shed their leaves in Bay Nui area, where the Via Ba Festival is taking place. This has worsened fears of a forest fire because pilgrims usually burn incense in temples along the mountain. According to Tran Phu Hoa, head of the Forest Management Department in An Giang Province, March and April are peak time for threat of forest fires. Relevant organs have stepped up patrol and propaganda to prevent forest fires and have installed 700 water tanks in the worst depleted areas along the mountain. Ca Mau Province has 33,000 hectares of forest under threat of forest fires triggered by drought conditions. If scorching dry heat persists until the end of this month, 41,000 hectares of mangrove forest will be totally destroyed. Provincial authorities have recorded ten forest fires over the last few days but all of them were tackled in time and stamped out, before they could cause any considerable damage. Authorized organs have tasked patrol teams to keep a close watch of the forest areas and have asked surrounding households to pledge not to use fire to take out honey. 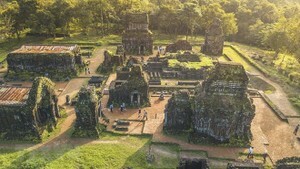 According to the National Hydro Meteorological Forecasting Center, drought has occurred in several areas in the Mekong Delta and salt intrusion has occurred one month earlier than other years. Salt water has penetrated 40-50 kilometers, and some places even 50-60 kilometers inland such as in Tien Giang, Ben Tre and Tra Vinh Provinces.